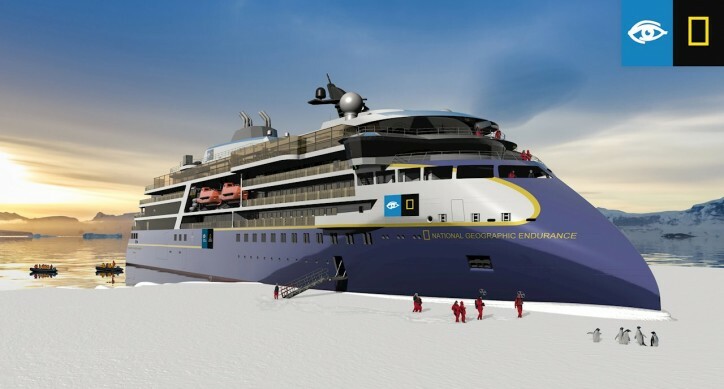 Destined to take exploration cruise guests sustainably and safely on voyages deep into remote polar regions, the Lindblad Expeditions Holdings, Inc. vessel will be built by the Norwegian yard Ulstein Verft to an Ulstein Design & Solutions design as a sister ship to National Geographic Endurance (see also CruiseMapper), whose construction is underway. As before, the latest ship will have capacity for 126 passengers in 69 luxury guest cabins. The vessel will join the Lindblad fleet in late Q3 of 2021.